President Emmerson Mnangagwa has initiated a process to restructure the Zimbabwe Anti-Corruption Commission (Zacc) which will see commissioners being forced out. The development comes amid allegations that some of the commissioners were themselves corrupt and dabbling in Zanu-PF factional politics. Sources said a number of commissioners at Zacc last week met Vice-President Constantino Chiwenga, where they were told to resign with some of them already having tendered their letters of resignation, among them chairperson, Job Wabhira. The sources within the Office of the President said a number of the commissioners were accused of not being "politically correct". Justice, Legal and Parliamentary Affairs minister Ziyambi Ziyambi confirmed a restructuring exercise was underway, but ruled out that the process was targeting individuals. "It is not that we are targeting anyone, but we have realised that some of these institutions have negated on their mandate and hence we are trying to restructure so that we could be able to revive and achieve the vision set out by President Mnangagwa. "If the restructuring exercise would mean that some people leave the institution, then let it be," Ziyambi said. He added: "If you look at what happened at the police, the president changed the top leadership and he did this so that he could get a person who fits in to his vision. So, yes, we met with the Zacc team and this is what we have been telling them. We want to find ways of improving the fight against corruption." Ziyambi denied that talks with regard to the commissions' exit packages were already underway saying so far "we have been discussing how we could revive the anti-corruption fight in earnest. "But if that vision was to be achieved through other members leaving the organisation like what happened at the police, let it be so," he said. But sources said last week, Zacc commissioners were given Friday as the deadline to resign and told to craft their own exit packages which were not outrageous. "They met last week and were told in no uncertain terms that soon there would be changes at the commission. 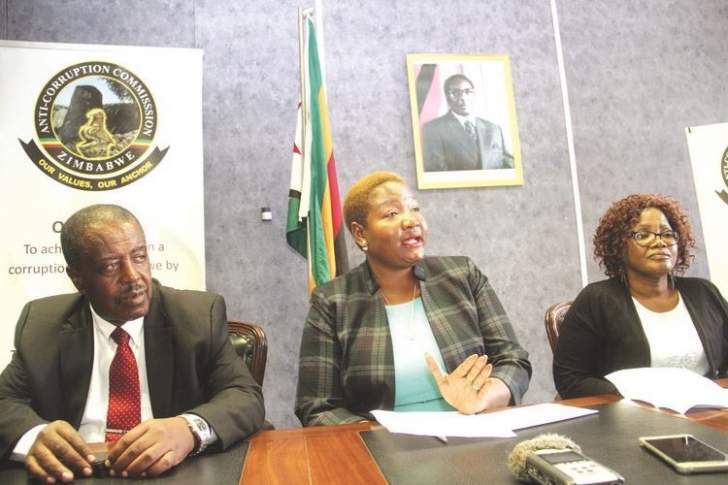 The presidency feels that Zacc was being used to undertake personal fights and some of its officials have been implicated in corruption," said a source. "We have commissioners who have been used to do factional fights within the ruling Zanu-PF and we have some who have used Zacc to line their pockets." At the height of Zanu-PF factional fights pitting a camp that was supporting former president Robert Mugabe and Mnangagwa, Zacc was accused of pursuing a divisive agenda in its investigations as it was seen to be targeting those who were backing the former ruler. After the departure of Mugabe, a number of those seen or suspected to have been close to Mugabe have been arrested while those said to be supporting Mnangagwa although accused of corruption have been spared the rod. Administratively, Zacc reports to Chiwenga although it ought to be operating independently. "Zacc's ineffectiveness could be seen at the manner in which cases against Supa Mandiwanzira (former ICT minister) were treated and in some instances [they] used Mnangagwa's name to clear certain cases," said a source.